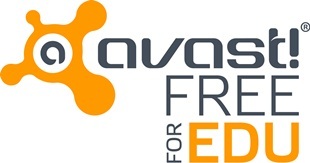 AVAST Free for Education protects schools while significantly decreasing IT costs for security. The beginning of the 2014/2015 school year is here. Parents and children are ready after a long summer break, but are schools prepared for the start of the new academic year? AVAST surveyed more than 900 school IT professionals who participate in the AVAST Free for Education program and found that in terms of technology, schools are not as well equipped as parents expect. Technology in schools is not limited to instruction. Sensitive information about faculty, staff, and students is stored on administrative computers. This information needs to be protected from cybercriminals, which is difficult for schools with little to no IT budget. Schools without adequate protection put local families, faculty, and expensive hardware at risk. AVAST Free for Education helps schools by providing them with enterprise-grade antivirus protection for free, saving school districts an average of $14,285 a year. The AVAST Free for Education program saves school IT departments money they can spend on software and hardware upgrades or use for supplies and salaries.